Last weekend at Mareta Beach , in Sagres, hosted the ceremonial “Paddle Out”, where the surfing community took a Sea commitment to protecting and defending the beaches, ocean and nature. 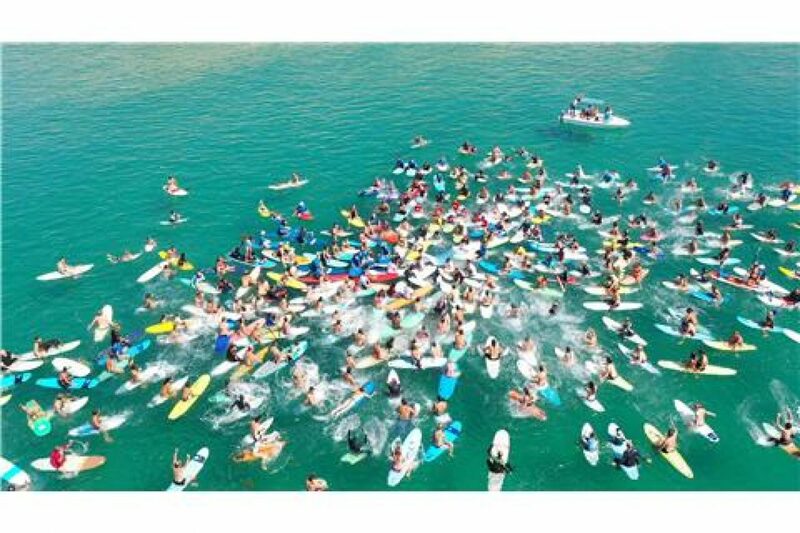 According to the organizers, the event attracted the place hundreds of surfers who managed to unite the national surf world and raise awareness of the great cause of this century, the protection and defence of nature, beaches and oceans. Of several surfers who participated in this outstanding initiative Alex Botelho, Eurico Gonçalves, Dora Gomes, Manuel Mestre (Necas), Joao Dantas, Sergio Brandão, Tiago Oliveira, Shell Balsemão, John Mealha Marco Perini, Philip Burned (Kalhi), Manuel Dantas, Roberto Pimenta, John Xufre, Ze Master, Eurico Romaguera. Also noteworthy was the participation of the Mayor of the council Adelino Soares Vila, Vice President of the Municipal Council of Loulé, Pedro Pimpão and Vice President of Tourism of the Algarve, Nuno Monteiro, who also wore their wetsuit and they took part in this event. After the ceremony the celebration went to the fort with a concert including Time For T, Daniel Kemish, Raposeira Colective Dub Dj set and Toby One, round tables, exhibitions and grocery, culminating with the socializing in the bars of Sagres. The organization, Association Paddle Out For Nature, thanks to all those who rowed in the initiative and shared their positive energy and joy to celebrate life. Remember also that the event had the support of the Municipality of Vila do Bispo.